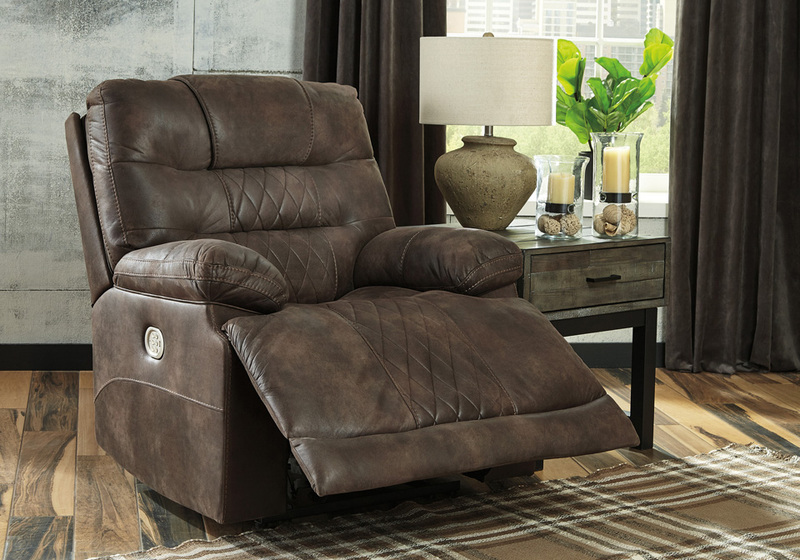 From head to toe, and all points in between, the Welsford faux leather power recliner in walnut brown has got you covered with chic style and sumptuous comfort. A recliner designed to respond to your every move, it includes not only an Easy View™ power adjustable headrest—allowing you to recline and still have a great view of the TV—but also power lumbar support to get you feeling back on track. 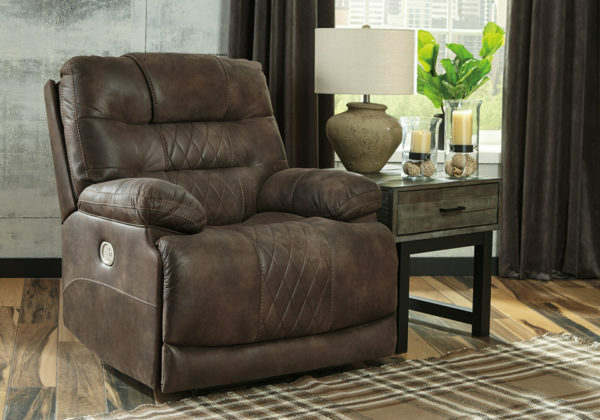 Merging the cool look of leather with the warm feel of fabric, this power recliner’s enticing upholstery is enhanced with distinctive diamond lattice stitching for fashion-forward flair. Perks such as an easy stretch extended ottoman and USB charging port in the control panel extend your comfort level.